SDE specialises in the provision of technical expertise across the Soldier Systems and Weapon Ordnance Munitions & Explosive domains. Our expertise covers large sections of the System Engineering process and the CADMID cycle. We have worked with both prime contractors and Government Agencies in many programmes to undertake tasks such as generating System and User Requirements, ITEA management, WOME expertise, Lethality Management, complete Error Budget analysis and Trials management & conduct. We provide a wide range of scientific and technical advice on weapons, munitions & energetic materials augmented by a comprehensive Modelling and Trials Capability. SDE intimately understands the complex nature of improving war-fighting capability and the need to consider the pan-DLOD impact when developing new equipment. We have vast experience in the quantitative assessment and analysis of the effect of new capability on the performance and effectiveness of the individual, Section, Platoon and Company of both Mounted and Dismounted troops. 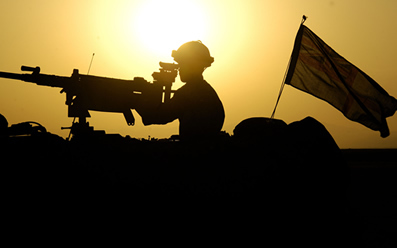 As a result of the SDE’s independence and its vast domain knowledge, it is able to provide impartial third party advice and support to soldier systems programmes. Our agile nature allows us to quickly and efficiently form integrated project teams which utilise technical and user experience in in order to develop optimised solutions. 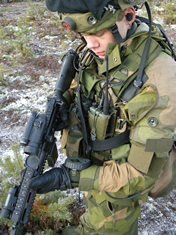 SDE has authored the latest version of the NATO Soldier Modernisation Measurement for Analysis: a Framework for Modelling and Trials document which defines what MOPs and MOEs should be captured when conducting soldier system development trials. The approach described in this document is being adopted by many nations as part of their soldier modernisation programmes. 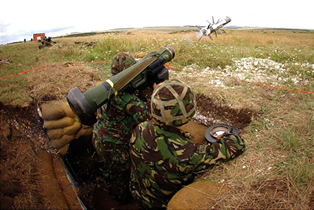 SDE is a lead provider of Weapons, Ordnance, Munitions and Explosives (WOME) and related expertise and Subject Matter Experts (SME) to various UK and overseas Government agencies and the Defence Industry. We offer a wide range of scientific advice on munitions and energetic materials. Our expertise covers the complete lifecycle of energetic materials from initial formulation through to demilitarisation of munitions and recycling. This business area is staffed by a team of highly experienced and innovative OME engineers and scientists. This experience covers a wide range of weapons and OME including propellants, pyrotechnics and ballistic systems. SDE can undertake requirements capture and engineering activities for both procurement and R&D programmes. This ranges from User and System Requirements through to Technical and Sub-System Requirements and Technical Specification. SDE has also generated Safety and Environmental Requirements for Ordnance, Munitions and Explosives (OME). As a consequence the company has a clear understanding that unambiguous statements are required, that robust justification statements are essential and that appropriate verification processes are determined. Using our extensive domain expertise across all areas of weapon systems and OME technologies we undertake a variety of activities in support of clients’ R&D activities. Our independence from prime contractors allows us to conduct R&D with absolute impartiality. In recent years we have undertaken programmes as diverse as Small Arms Ammunition Design & Development, Small Arms Lethality Assessment, Medium Calibre Fuze Design, Design of a Range for technical assessment of Small Arms and Shaped Charge Jet Characterisation. SDE has provided both technical and managerial support to many major defence programmes in the UK and in other countries such as USA, Australia and Norway. The Company has provided specialised domain expertise to many international soldier modernisation programmes such as UK’s FIST & FDCC, Norway’s NORMANS and Australia’s LAND 125 programmes. SDE have been involved with all of the recent major new Royal Navy ship programmes such as the Type 45, Type 26 and CVF, as well as many of the current fleet updates. Our role in these programmes has included explosive safety management, magazine design assessment and OME stowage plans. 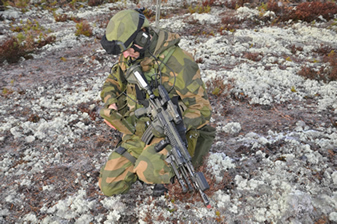 SDE have conducted ITEA activities for the UK FIST programme and are the current ITEA Managers for the Norwegian NORMANS infantry modernisation programme. 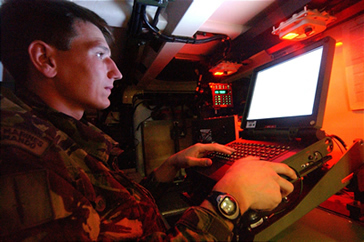 In this capacity we have managed, planned, conducted, instrumented and analysed the results from a vast quantity of data gathered during multiple trials which have been critical to the development of a vastly improved capability for the soldier. 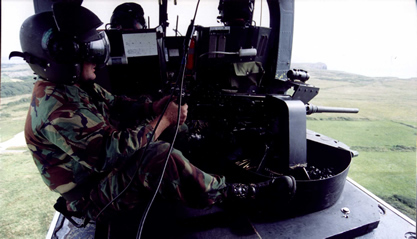 Other ITEA experience also includes the integration of gun, missile and mortar/rocket systems into Land, Naval and Air platforms.